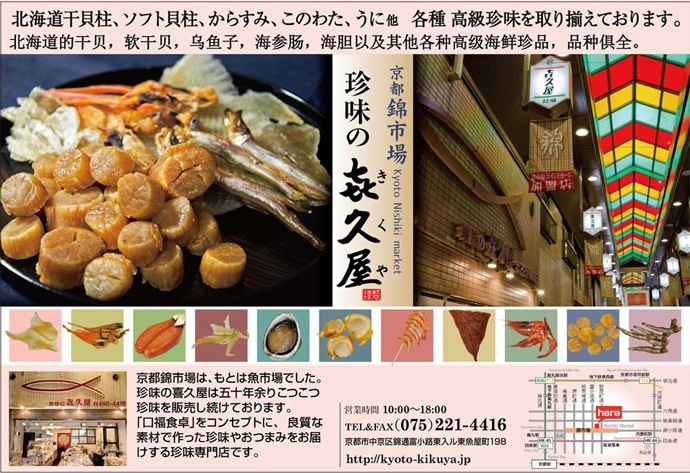 Our "delicacy Kikuya" is a member of the Nishiki market shopping street promotion union. Nishiki market is also 400 years of historic market called "Kyoto's kitchen". 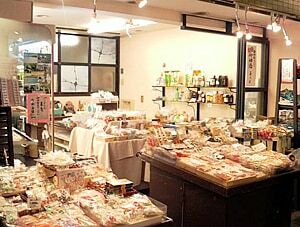 We will deliver the delicacies and snacks made with high-quality material and Souvenir of Japanese sweets. All sales product is also available sold in stores. Please come Come to our shop! Please refer to the Japanese food culture in Nishiki market. The delivery to foreign countries is impossible. Copyright(c) ,京都珍味の喜久屋 All Rights Reserved.